As a solicitor Jo enjoys helping clients deal with legal matters that affect them and their families in their personal lives. 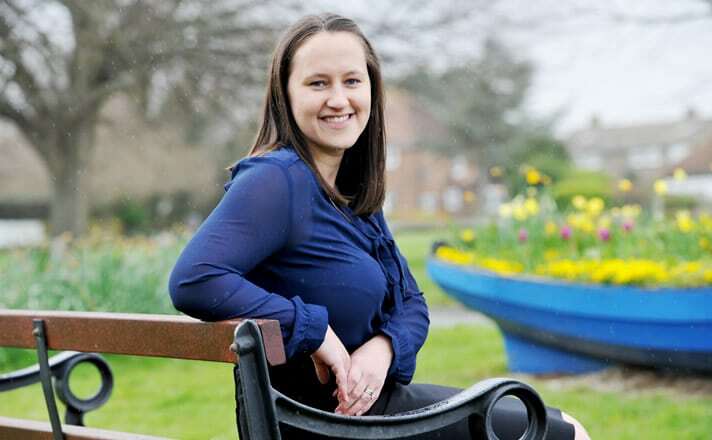 Jo joined Bennett Griffin in 2005 as a Trainee Solicitor, and right from the beginning she knew that this area of law suited her. Jo enjoys meeting new people, and guiding them through what are often difficult and sensitive issues. Her clients benefit from the extensive knowledge and experience that she has accumulated during her career. As a Notary Public, her job is to certify and validate documents for use in foreign transactions. The documents she deals with most often relate to the sale and purchase of property abroad, personal identification, foreign pensions, and Powers of Attorney. Most people who require a Notary will already have a lawyer in the country in which the transaction is taking place, and she works closely with them to ensure that the relevant paperwork is completed properly so that it is accepted in the foreign country. Mrs P is a lovely local lady who was widowed some years ago. She is intelligent, fiercely independent, and close to her family, even though they live far away. Jo first met Mrs P when she wanted to update her Will, and make a Lasting Power of Attorney. As her family were not local, Mrs P asked Bennett Griffin to be her Executors and Attorneys, which we were happy to do. Unfortunately, Mrs P suffered a stroke the following year, and was incapacitated for a few weeks. Thanks to the Lasting Power of Attorney, Jo was immediately able to take control of her finances to ensure that she was protected and received the care she needed. As Mrs P recovered, she was able to make decisions for herself but could not action them, which she found incredibly frustrating and upsetting. Jo was able to support her through this, giving her back her independence and providing an important link with her family. When Mr F died suddenly, there was an awful lot of paperwork to be sorted out. His family were not local, and unfortunately they did not all get along. Luckily, Mr F had anticipated these problems, and had appointed Bennett Griffin as his Executors. Jo was able to secure his assets, and provide a link for communication between the two sides of the family. Mr F’s estate was rather large and complicated, and involved Trusts and Inheritance Tax. Despite these issues, Jo was able to administer the estate in a timely manner, to the satisfaction of all involved. When Ms H was taken ill unexpectedly, her son did not know which way to turn. Ms H required specialist nursing care, which is expensive, but the banks would not release any money from her accounts to pay for it. Ms H’s son was also stuck with looking after his mother’s empty house, which was many miles away from where he lived. Unfortunately, Ms H had not made a Power of Attorney, but Jo was able to guide her son through the Court of Protection process so that he could obtain the authority to access her accounts and sell her house. Jo was also able to help him obtain an emergency interim order from the Court so that her nursing fees were paid promptly. Jo then went on to advise Ms H’s son about NHS Continuing Healthcare Funding, which is non-means-tested funding for nursing care fees. Powers of Attorney can be useful in all sorts of situations, and Jo can advise on the most suitable Power of Attorney (POA) for you, and whether there are any alternatives. She specialises in the preparation and registration of Lasting Powers of Attorney, both in relation to property and financial affairs, and health and welfare. She assists people who are making POAs, as well as Attorneys who have to put a POA into action. This includes the old style POA, known as an Enduring Power of Attorney. Advance Decisions, also known as Living Wills and Advance Directives, allow you to make decisions about your future welfare and medical treatment, just in case you have lost capacity by the time that treatment is required. Jo helps people decide whether an Advance Decision is right for them, and then deal with drafting the document. She also advises on the practical steps required to ensure the Advance Decision is followed. Probate and Estate Administration; the process of sorting out someone’s affairs after they have died. Jo regularly guides people through the legal and practical steps required at this difficult time. She has a great deal of experience of all aspects of estate administration, including intestacies, probate valuations, Inheritance Tax, applications for Probate and other Grant of Representation, lost Wills, disputes between beneficiaries and executors, missing beneficiaries, personal protection for the executors, etc. The Court of Protection is a specialist Court that makes decisions for people who do not have, or have lost, the ability to make decisions for themselves. Jo advises families on the ways in which the Court can assist them, and the procedure and costs of an application to the Court. She has dealt with simple applications, such as the appointment of a Deputy or the sale of a property, and complex applications, such as the disputed appointment of an Attorney or the preparation of a Statutory Will.